The dreaded war has begun and is sweeping across Maioria. Despite gaining victories, Issa is forced to endure terrible loss and face defeat as the Dark Rift descends. For all her powers, she reluctantly realises that nothing can halt the fall into darkness of her world, and that a greater threat is closer than she thinks. 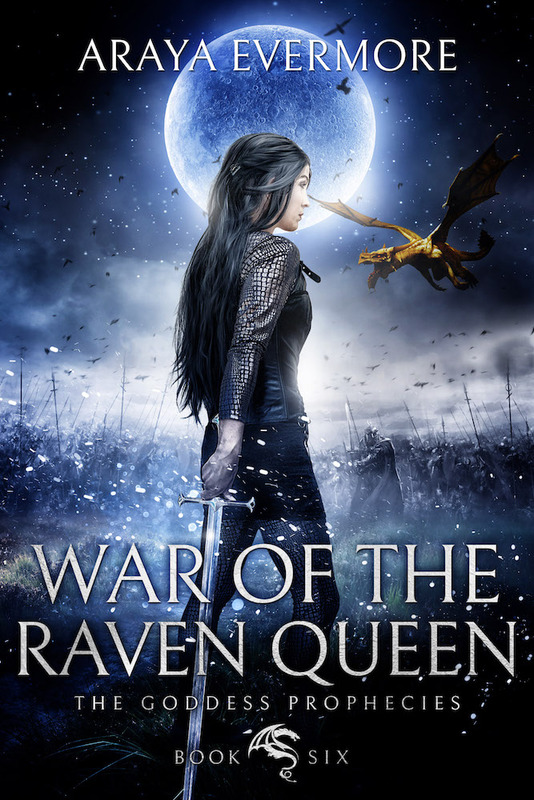 A third Raven Queen is rising, and that which she holds most dear will seek to destroy her. The King has returned, and the sacred pact between man and dragon ignited. As both rally to his side, Asaph, the Dawn Bringer returns to Drax one last time to give his life taking back the land and the throne stolen from him, but the Immortal Lord awaits—and the destruction of the Draxian uprising is already in his grasp. The dark moon is rising one final time, but when the unthinkable happens and Zanufey falls silent, Issa is forced to look within to find the power and the faith to carry on. Before the darkness consumes her utterly, Issa must give herself fully to the Dark Rift so that all others might live. In this final book in The Goddess Prophecies Fantasy Epic, Issa must face Zanufey’s Fallen and embrace the darkness to save her world and all within it.